I ran a trip 2 days before christmas and two days after christmas. I had Brad Pitcher and his dad along with lured away and BrentJ on the one before. We went on the cat and started off at the lump. The lump was not on that day so we kept rolling to the east until we found some good water. Eventually we found it around elf and set up and started chumming. 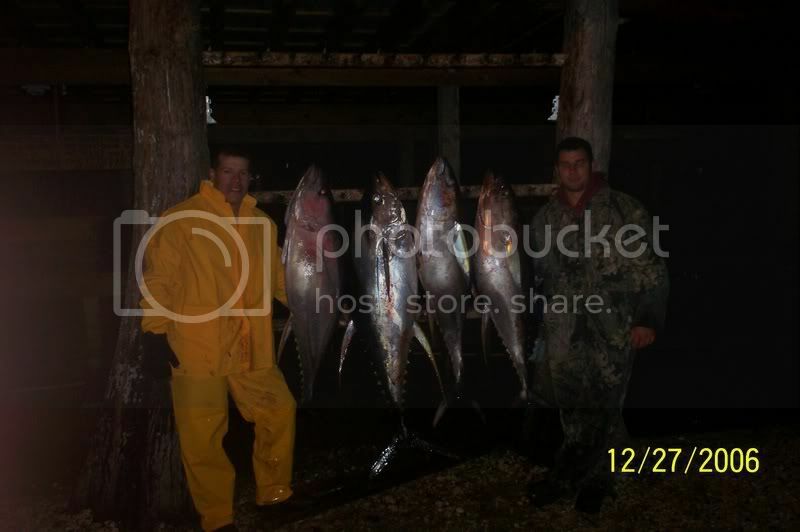 It wasnt the fast and the furious but we were consistently getting hits and catching yellowfin. 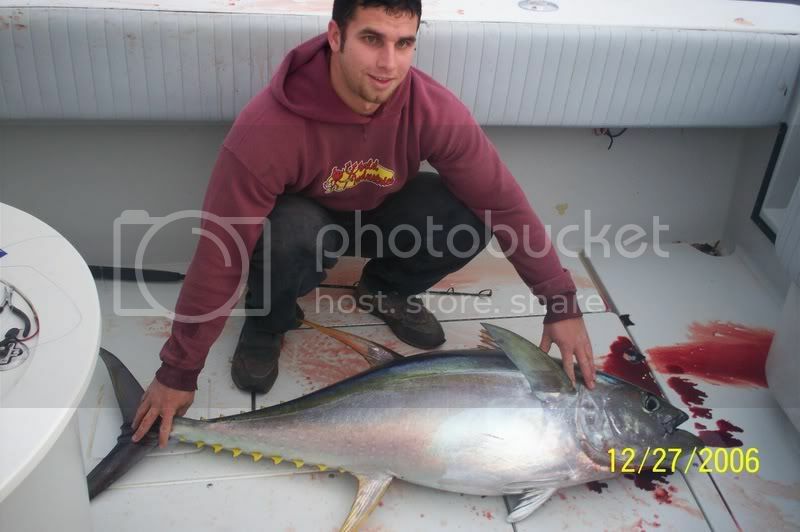 The fish were hitting chunks of bonito with 6/0 frenzy hooks on 80 pound frenzy flourocarbon. 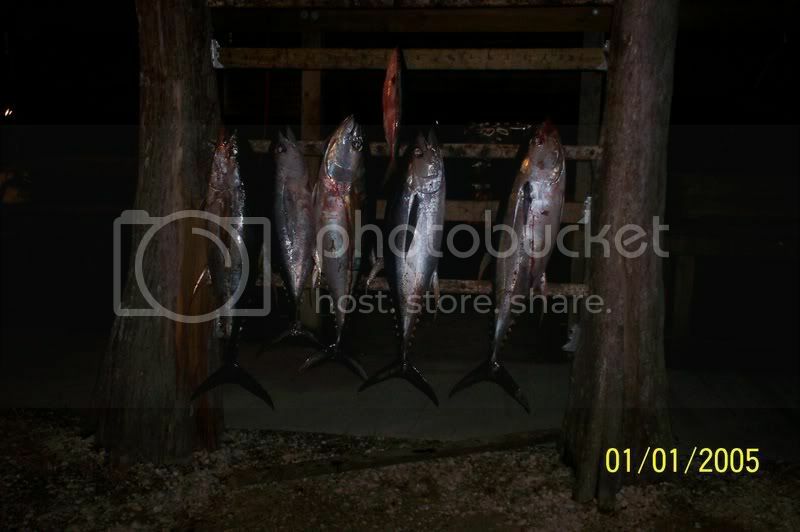 We ended up that day with five yellowfin. from 50-60 pounds. On wednesday which was 2 days after christmas I took Harry Cassisdy and friends on the contender. We started out at elf which was of course dead that day so we headed on south to some deeper water floaters. We put a live mullet out and hooked up on a nice 70 pound fish. We had a couple swings and misses and then they slowed down for us on the live bait. We started chumming with some blackfins I had jigged up on my knife jigs. And started picking up some more yellowfins. We ended up with four nice yellowfin from 60-90 pounds and called it a day.